In 1792, when he was forty-seven, the Spanish painter Francisco de Goya contracted an illness that left him stone deaf. Yet he continued to interact with the world and to create, spending the next thirty-five years in a world emptied of sound but bursting with images of pageantry, cruelty, and pathos. 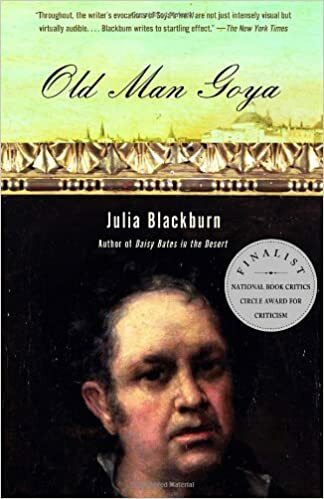 In this brilliant, idiosyncratic book – a kaleidoscope of biography, memoir, history, and meditation – Julia Blackburn vividly imagines the artist’s world during this time. She recreates the artist’s friendships and love affairs and breathes life into the subjects of his paintings: an ethereally lovely duchess; the spoiled grotesques of the Bourbon court; the atrocities of the Napoleonic wars. Old Man Goya is a rare work of empathy and imagination, a stunning portrait of the mind and life of a great artist.